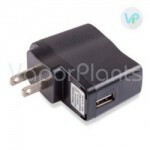 Want to get your herbs ready for vaping in record time? The 3-Piece Wood Grinder is the perfect solution, because it allows you to grind any type of herbal preparation, and empty the grinder much more quickly than most herbal grinders. That's because it has a three-piece design. 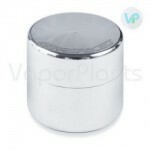 A micro fine screen inside of the herb grinder lets herbs fall through once they reach the ideal grind level. Larger pieces that still need to be ground remain in the main chamber of the dry grinder, improving efficiency. Constructed out of high quality rosewood, the grinder is available in a small 50 millimeter size and as a 76 millimeter. Both styles have a lacquered finish on the outside.